Rediff.com » News » Did Pranab Mukherjee play a role in the Netaji mystery? The latest book by journalist Anuj Dhar on the mystery of Netaji Subhas Chandra Bose's death/disappearance points to a discouraging role by Pranab Mukherjee in resolving it, writes Vicky Nanjappa . Interestingly, it deals with a Pranab Mukherjee angle to the mystery. Anuj Dhar tells rediff.com that when Mukherjee was the external affairs minister, the controversy about Bose had been revived with claims from the recently collapsed state of USSR that Bose was there after 1945. Contrasting the Bose case with the tragedy of Swedish diplomat Raoul Wallenberg, Dhar claims in his book that despite there being intelligence and other reports about Bose's presence in Soviet Russia, the Government of India never asked the former Communist country to shed any light on the recurring rumours. 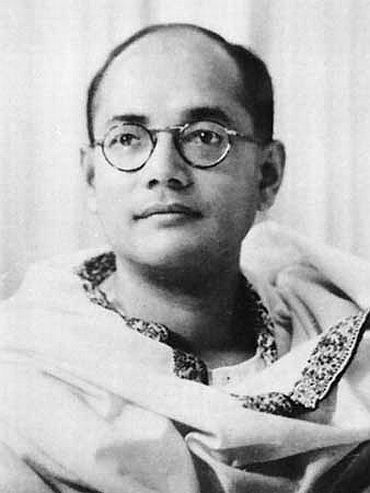 I'n 1995, in deference to the advice of the Intelligence Bureau, the Union Cabinet decided not to bring the so-called ashes of Bose to India from Japan. But Mukherjee flew to Germany, and according to unverifiable claim of a former MEA official, says Anuj Dhar in his book, tried to bribe Bose's Austrian wife to certify his death by giving a written approval to take the ashes to India as that of Netaji's. 'In an ironical twist, Pranab Mukherjee, having returned to power in 2004, then sat in judgment on the commission report along with his other Cabinet colleagues. In March 2006, when Justice Mukherjee's report saying that Bose hadn't died in 1945 and that the ashes in Japan were not his was yet to be made public, and Mukherjee was back as the external affairs minister, Sugata Bose secretly brought to Kolkata some human remains as that of Bose,' writes Dhar. The issue of Netaji's fate and controversy about his remaining alive until 1985 was probed by former Supreme Court Justice MK Mukherjee between 1999 and 2005, which was rejected by the United Progressive Alliance government with the Action Taken Report laid in Parliament stating no reasons whatsoever. 'A feeble counteroffensive was launched in December 1996. Researcher Joychandra Singh told the media there was nothing more to the Bose mystery other than the Taipei crash. He claimed that Russia too upheld this theory. This he attributed to a response he had received from the Russian defence ministry archives in Moscow. 'Joychandra Singh put his own spin on this to give journalists the impression that Russia upheld the Indian government-approved theory. He harped on his "12-year-old research" on the issue, which had been inspired by a communication from the Indira Gandhi government urging him to propagate the Taipei death story.